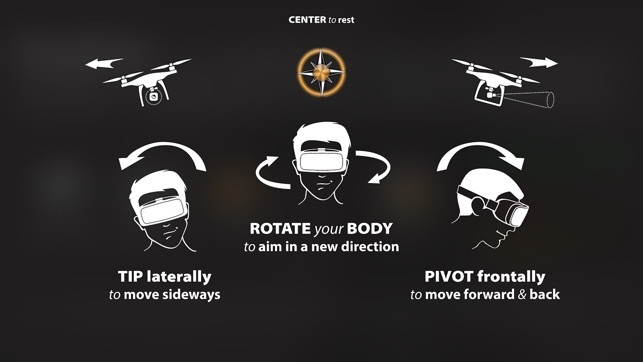 BodyNav™ is a fun virtual reality tutorial game that demonstrates the power of navigating drones and virtual reality with intuitive body movement. Leverage your innate sense of space, lean in the direction you want to go, and minimize motion sickness. 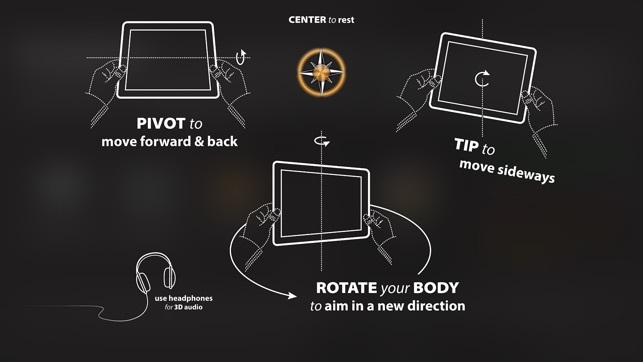 Before flying your DJI drone with Teleport™, play the BodyNav game to get familiar with movement basics. 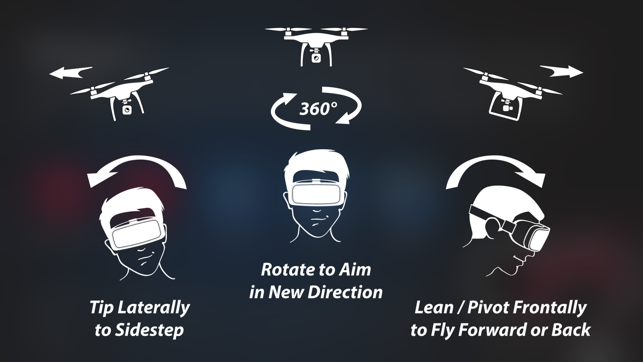 Lean your body forward and back to "walk" or "fly" around. Lean your body left & right to sidestep. Earn points by finding and occupying cubes. Lose points by hitting walls. 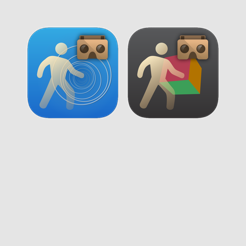 Wear headphones for directional 3D audio and have fun! 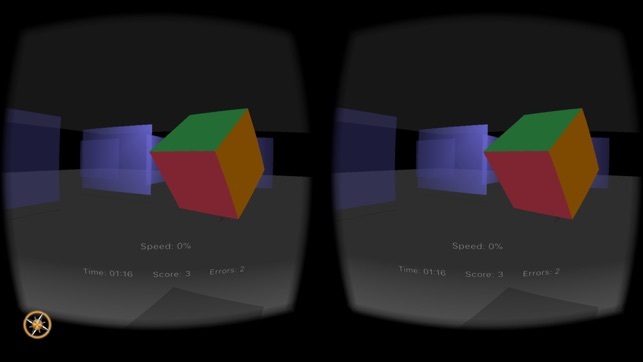 Stereo VR mode requires a passive stereoscopic 3D headset (like Google Cardboard). Soundtrack courtesy of De La Soul. 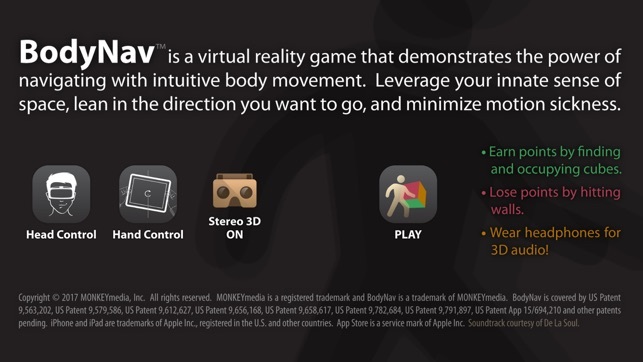 BodyNav technology can be easily adapted to modernize your own product user experiences with just a few lines of code. 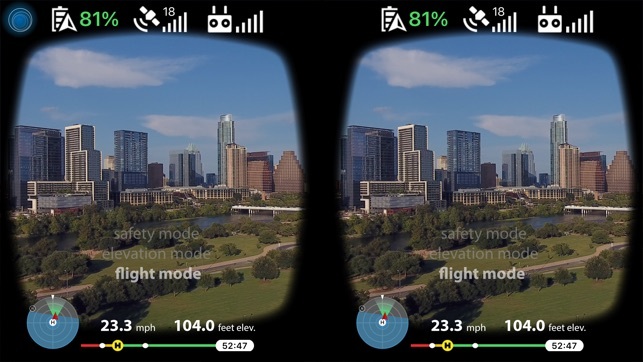 It enhances first-person gaming, multi-camera performances and sporting events, control of remote vehicles, video conferencing and telepresence applications, street-view maps, augmented reality, architectural simulations, and 3D user interfaces for browsing documents and images. Copyright © 2017 MONKEYmedia, Inc. All rights reserved. 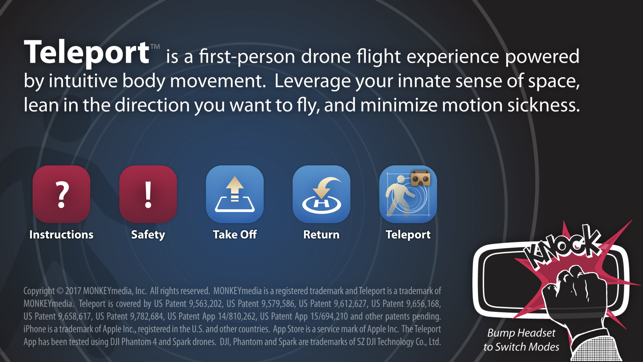 MONKEYmedia is a registered trademark, and BodyNav and Teleport are trademarks of MONKEYmedia. 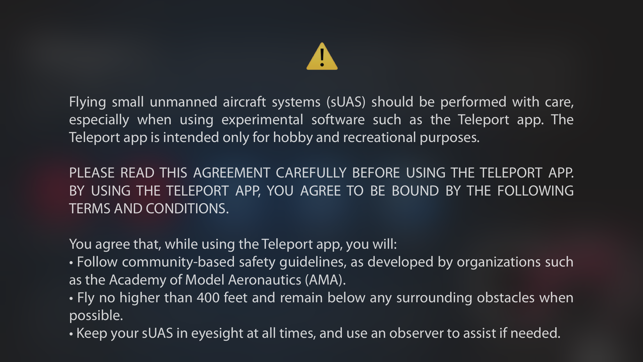 BodyNav and Teleport are covered by US Patent 9,563,202, US Patent 9,579,586, US Patent 9,612,627, US Patent 9,656,168, US Patent 9,658,617, US Patent 9,782,684, US Patent 9,791,897, US Patent App 15/694,210 and other patents pending. Requires iOS 10.3 or later. Compatible with iPhone 5s, iPhone 6, iPhone 6 Plus, iPhone 6s, iPhone 6s Plus, iPhone SE, iPhone 7, iPhone 7 Plus, iPhone 8, iPhone 8 Plus, iPhone X, iPhone XS, iPhone XS Max, iPhone XR, iPad Air, iPad Air Wi-Fi + Cellular, iPad mini 2, iPad mini 2 Wi-Fi + Cellular, iPad Air 2, iPad Air 2 Wi-Fi + Cellular, iPad mini 3, iPad mini 3 Wi-Fi + Cellular, iPad mini 4, iPad mini 4 Wi-Fi + Cellular, 12.9-inch iPad Pro, 12.9-inch iPad Pro Wi-Fi + Cellular, 9.7-inch iPad Pro, 9.7-inch iPad Pro Wi-Fi + Cellular, iPad (5th generation), iPad Wi-Fi + Cellular (5th generation), 12.9-inch iPad Pro (2nd generation), 12.9-inch iPad Pro Wi‑Fi + Cellular (2nd generation), 10.5-inch iPad Pro, 10.5-inch iPad Pro Wi‑Fi + Cellular, iPad (6th generation), iPad Wi-Fi + Cellular (6th generation), iPad Pro (11-inch), iPad Pro (11-inch) Wi-Fi + Cellular, iPad Pro (12.9-inch) (3rd generation), iPad Pro (12.9-inch) (3rd generation) Wi-Fi + Cellular, iPad mini (5th generation), iPad mini (5th generation) Wi-Fi + Cellular, iPad Air (3rd generation), iPad Air (3rd generation) Wi-Fi + Cellular,and iPod touch.